The one and only MC RedCloud blasted through 18 hours straight of freestyle rapping—all to benefit and raise awareness about Missing and Murdered Indigenous Women. 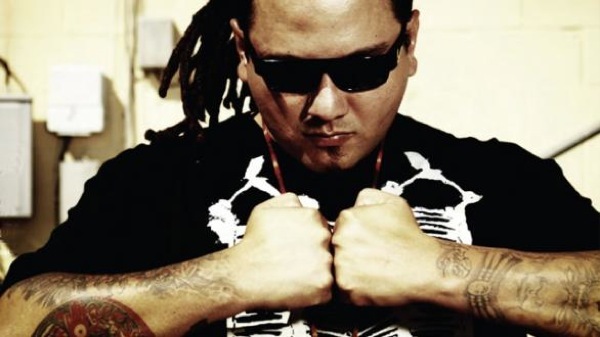 At the Indigenous Angels II benefit show on November 29th, after months of preparation and training, Huichol MC RedCloud threw down the hip-hop gauntlet on every MC who's ever gone before him and proceeded to freestyle rap for eighteen consecutive hours. More than an hour past the current Guiness World Record of 17 hours straight. When he reached the 17 hour mark, RedCloud rhymed the names of every indigenous or missing woman. He also rapped those of the 43 students recently murdered by a drug gang in Mexican state of Guerrero—which lies just a couple hours down Mexico's west coast from the region that is home to his Huichol people. That's right. In the final hour of his world record attempt—after rapping for 17 hours straight—RedCloud worked the names of more than a thousand missing and murdered Indigenous women and the murdered students of Ayotzinapa into his final hour of rhyming. Then he donated funds raised from the show to “Stolen Sisters” to support volunteer work and organizing for MMIW. Now that's how you break a world record. Actually that's exactly what one does. When that one is the mighty RedCloud.